We don’t pick when bad things happen. On May 1, 2018 the National Fire Protection Association released standards related to active shooter responses (NFPA 3000). NFPA 3000 will become the template by which safety & security measures addressing active shooters will be measured. This link is to the NFPA 3000 home page. Before we start, it’s important to understand that tactics for defeating an active shooter are local in nature. That being said, there are many layers to ASHER. Technologies, practices, and procedures must be integrated and executed as part of a comprehensive plan to minimize casualties to vulnerable populations. ASHER is a pre-planned real-time strategy executed in response to active shooters. Subjecting an active shooter to a hostile environment can discourage, delay, disorient, and possibly defeat the attacker. Time is of the essence, with the mission to protect lives by defeating the shooter. Proper facility risk assessments and threat identification will give guidance on ways to increase the general safety of a facility. All sites with vulnerable populations should develop an Incident Command System that integrates organizational functions, tactical operations, and incident planning & logistics, within a common organizational structure. Tactical responses to active shooters are determined on a local level. Some may include internal responses from onsite Security Resource Officers or even armed and trained faculty members. Localized tactical responses in states such as Ohio & Texas include the training and arming of faculty and staff. The importance of having a plan for trained responses to an untrained attacker is critical. NFPA 3000 offers great direction on best practices. Some states train and permit qualified faculty and staff to carry concealed firearms. 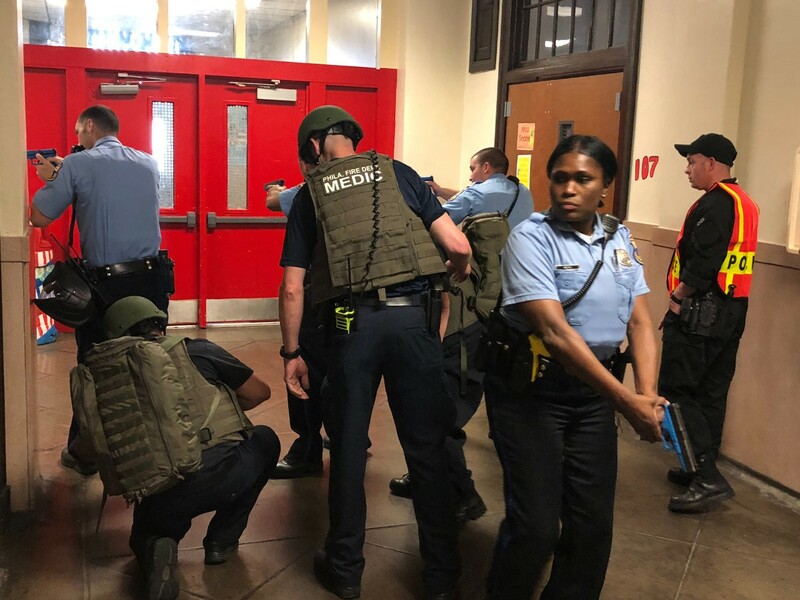 This training should be part of an overall school safety plan to coordinate armed responses against an active shooter. Most shooters are teenagers and have not been trained for what they’re about to attempt. A practiced and coordinated defense from a trained staff, supported with real-time situational awareness, and in technical countermeasures, would have an advantage against an untrained perpetrator. Automated response systems such as that from NetTalon can create a hostile and disorienting environment to impede attackers. In addition the technology alerts faculty, law enforcement, and EMS, so they may coordinate their responses. Johnson Controls heralds its active shooter locator technology that identifies shooter location in seconds and relays that information to law enforcement and EMS responders. Direct communication with these agencies can be facilitated by intercom companies like Commend. The last fire in a school that claimed the lives of students and faculty was in 1958. This is not luck. It’s the result of commitments to solve the problem. Where there’s a will there’s a way. This entry was posted in Access Control, Anti-Terrorism, Community Protection, Courthouse Security, Isotec Security, Law Enforcement, Local Government Security, Safety Entrance, School Security and tagged Active shooter plan, Law Enforcement, Local Government Security, Metal Detection, Protect What Matters, Qualified Anti-terrorism Technologies, School Security. Bookmark the permalink.